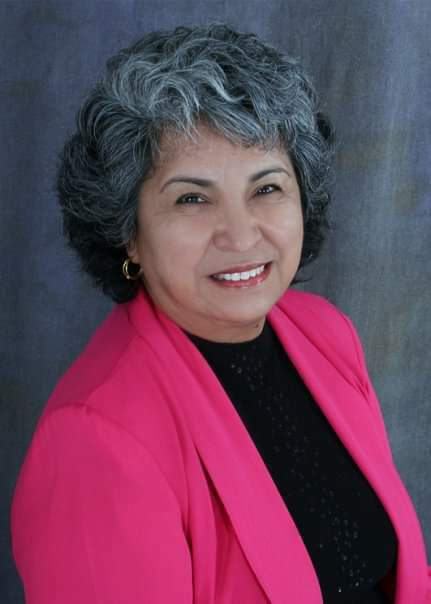 Olivia Hernandez Gaona was born on June 8th, 1951 in Crystal City, Texas, attending Crystal City High School where she participated in the Civil Rights Movement walk out of 1969. Olivia led a wonderful life, she was outgoing, enjoyed supporting local businesses, loved her Dallas Cowboys, and appreciated her many trips across the country with her husband Eugene. Olivia is survived by her husband Eugene Gaona. Her children Julian Casarez (wife Angel), Juliza Rocha (husband Daniel), Jezenia Barron (husband Javier) and Arnulfo Casarez Jr (wife Araceli). Her sister Sylvia Del Rio, brothers Raymundo Del Rio and Joe Alfaro. Her 7 grandchild, AJ, Jennifer, Yadira, Ariana, Johana, Javier Jr and Joaquin. Her niece Jazmine Ruiz with her daughter Samantha Romero. Stepson Michael Gaona. She is proceeded in death by her Mother Aurora Alfaro and grand-nephew Kriss Hernandez.